William Mark leads SRI’s Information and Computing Sciences division: 250 researchers in four laboratories creating new technology in autonomy, data analytics, machine vision, trusted systems, virtual personal assistance, and computational biology. In addition to leading-edge research, the group has a strong focus on commercializing technology, licensing to corporations and creating spinoff companies such as Siri, Tempo, Kasisto, area17, and Jist. Dr. Mark serves on the boards of Kasisto and Jist. 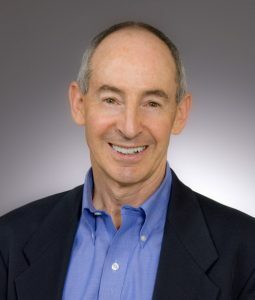 Prior to joining SRI in 1998, Dr. Mark headed the System Technology Group at National Semiconductor, focused on system-level design and implementation of silicon-based systems. Previous positions include Lockheed Martin Palo Alto Research Laboratories; co-founder of Savoir, a company developing software tools for flexible manufacturing; and the University of Southern California Information Sciences Institute. Dr. Mark has a Ph.D. in computer science from Massachusetts Institute of Technology. His personal research interests include virtual personal assistance and mediated spaces.